Andover, Mass. 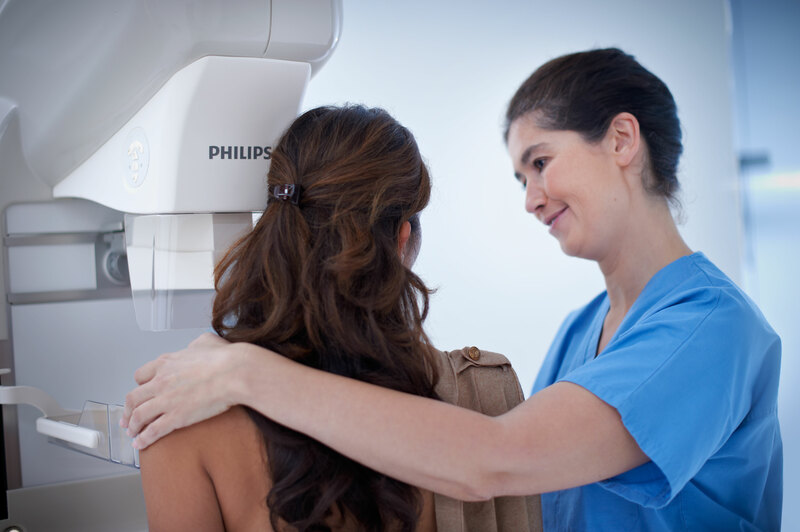 – Royal Philips Electronics (AEX: PHI, NYSE: PHG) today introduces MicroDose Mammography, a full-field digital mammography (FFDM) solution that offers a lower radiation dose, as compared to other FFDM systems, without compromising image quality. The addition of MicroDose to Philips’ already robust breast health portfolio marks an important step for the company’s focus on women’s health care, and underscores its commitment to pioneering innovative solutions to help diagnose breast cancer, with a focus on patient safety. October marks National Breast Cancer Awareness Month, and while Philips recognizes great strides have been made in breast cancer awareness and treatment, the company understands that there remains much to be accomplished. Mammography is the primary tool used to aid in the early detection and diagnosis of the disease. Studies show that mammograms can often spot tumors up to two years before they might be felt and are recommended by the American Cancer Society every year for women starting at the age of 40. Unfortunately, according to the American Cancer Society’s Cancer Prevention & Early Detection Facts & Figures 2011 report, globally 1.3 million women are still diagnosed with breast cancer each year, and in the United States mammography usage has not increased since 2000. Philips is revolutionizing mammography by providing a more comfortable, relaxed and faster mammogram experience, with lower radiation exposure. The company hopes to remove the barriers that may prevent more women from getting their annual mammogram. 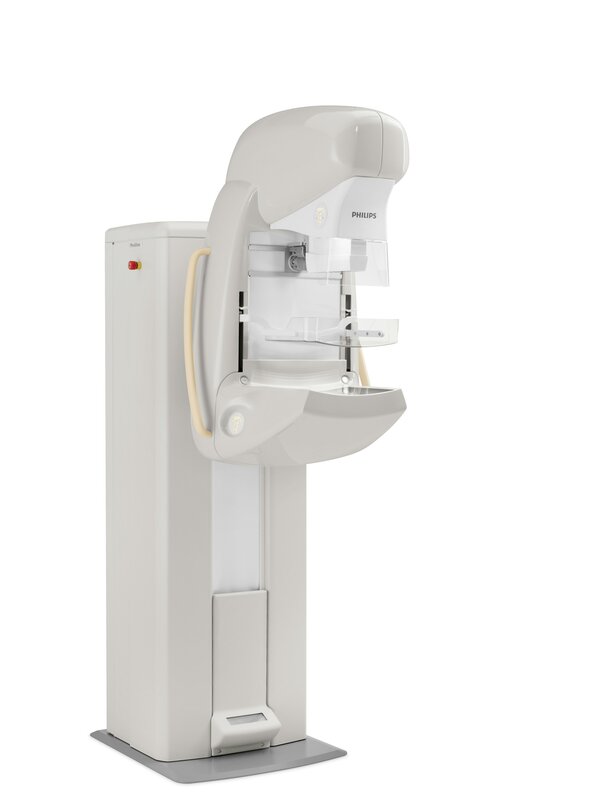 Now, Philips MicroDose offers clinicians the ability to deliver high-quality breast images at up to a 50 percent reduction in dose as compared to other FFDM systems, without compromising clinical image quality. In fact, studies report clinicians using a significantly lower average radiation dose with the MicroDose solution than with other full FFDM systems1,2. MicroDose is the only FDA-cleared mammography system that uses X-ray photon-counting technology. Similar to light-emitting diode (LED) lighting which uses less wattage than traditional incandescent bulbs while providing high light output, the Philips MicroDose patented photon-counting detector utilizes less radiation while delivering excellent image quality. MicroDose is also designed to offer a less stressful mammography experience by providing curved support and a comfortably warm positioning surface. The ergonomic operation makes it easy for clinicians to focus on the patient. Furthermore, the exam – including image acquisition – takes less than five minutes, offering speed, convenience, improved throughput and productivity. Additionally, the MicroDose photon-counting detector technology presents opportunities for future breast applications not typical of other FFDM systems, providing the option for continued advancements beyond 2D anatomical breast images in an easy and cost-effective way. This gives hospitals the flexibility they need to stay on the clinical cutting edge, now and in the future. In addition to the new MicroDose Mammography solution, Philips offers a comprehensive portfolio of advanced diagnostic imaging and information management solutions for the entire breast cycle of care including ultrasound, magnetic resonance imaging (MRI) and positron emission tomography / computed tomography (PET/CT), supported by comprehensive information management solutions. Looking through the lens of the breast cancer care cycle – from screening and diagnosis to treatment and follow up – Philips strives to reach beyond providing the best technology in order to solve the challenges that patients and clinicians encounter every day. 2 Oduko, J.M. Young, K.C., Burch, A.,: A Survey of Patient Doses from Digital Mammography Systems in the UK in 2007 to 2009. Digital Mammogr. IWDM 2010, 365–370, 2010.